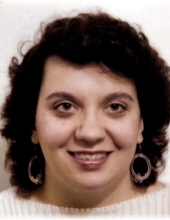 Rosemary L. Brown, 50 of Buffalo, passed away on April 5, 2019. She was born on December 31, 1968 in Potsdam to the late Stanley F. Sochalec and Diane M. (Barone) Sochalec of Batavia. Rosemary liked helping people, she was a very happy soul and always had a smile on her face. She is survived by her loving mother Diane (Jim) Sochalec of Batavia; siblings Pauline (Randy) Dickes of Batavia; Loretta Peterson of NH; Larry (Brenda) Taliento of FL; 6 nieces and nephews along with 4 great-nieces and nephews. There will be no prior calling hours. A 9:30 AM Mass of Christian Burial will be held on Wednesday, April 10, 2019 at Resurrection Parish 18 Ellicott St., Batavia, New York 14020. Rosemary will be entombed in St. Joseph’s Mausoleum. In lieu of flowers memorials may be made to the church. For more information please call 585-343-8260 or to leave a message of condolence please visit www.gilmartinfuneralhome.com. Arrangements completed by Gilmartin Funeral Home & Cremation Company, Inc. 329-333 West Main Street Batavia, New York 14020. To send flowers or a remembrance gift to the family of Rosemary L. Brown, please visit our Tribute Store. "Email Address" would like to share the life celebration of Rosemary L. Brown. Click on the "link" to go to share a favorite memory or leave a condolence message for the family.